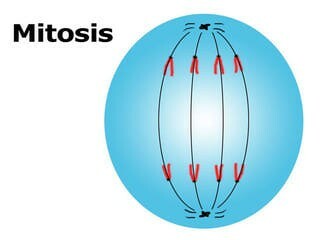 Mitosis is when one cell dies, another cell splits to take its place. 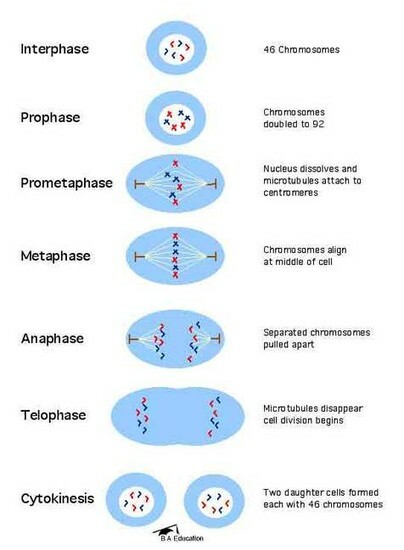 Mitosis has 7 stages and it is crucial to life. Prophase: The first stage of mitosis and when the chromosomes split and then the cell has 92 instead of 46. Anaphase: The fourth stage of mitosis and when half of the chromosome is pulled to each half of the cell; getting ready to split. It is important because without mitosis, whenever our cells die, we couldn't be able to replace them. Mitosis plays a huge role in reproduction. Without it, we wouldn't be able to produce offspring and if we couldn't do that, then eventually the human race would die out. Also, mitosis helps us grow and repairs our damaged tissue.